Here at Aroma-Tek we are committed to providing our customers with complete satisfaction. We stand behind all of our products with warranty support and offer the "Aroma-Tek Guarantee". Please see the details in our "About Us" section or for each individual product. If you have any questions regarding a product or the status of your order please contact us at the email address below. 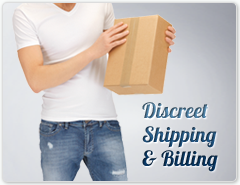 Please see our shipping section for more details on delivery times and tracking info.